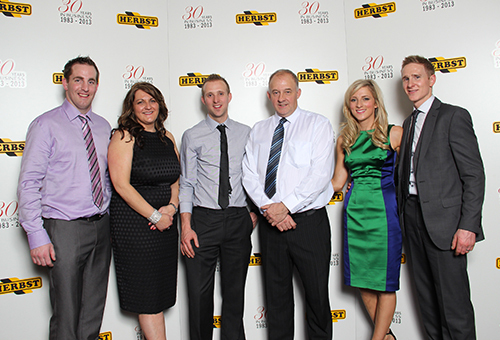 Herbst Machinery Ltd was established by Noel Good in 1983 and are a family run business based in Omagh, Co Tyrone. 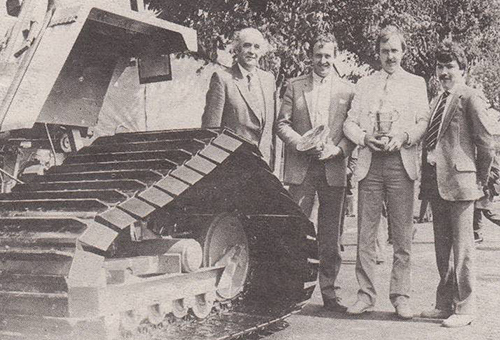 From our humble beginnings in 1983 to the present day we have built a reputation as a leading manufacturer within the agricultural, construction and recycling sectors. We have an ever expanding brand with an extensive dealer network distributing our products throughout the UK, Europe and Worldwide. 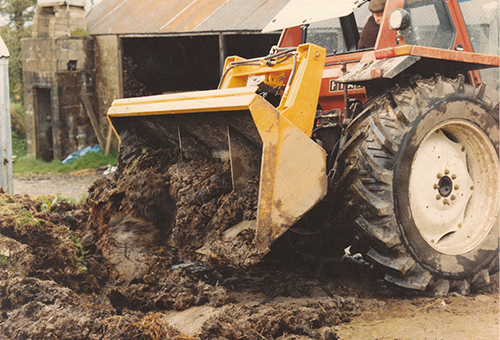 In the early days the main services offered were fuel peat extraction machinery, half tracks to fit onto conventional tractors and silage shear grabs. We were the pioneering force in the sector. 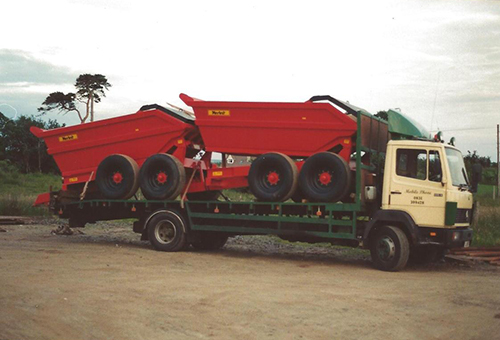 Over the years we expanded the product range and moved into designing and manufacturing quality trailers for the agricultural and construction sector; trailers designed to transport plant, machinery, equipment and aggregates. 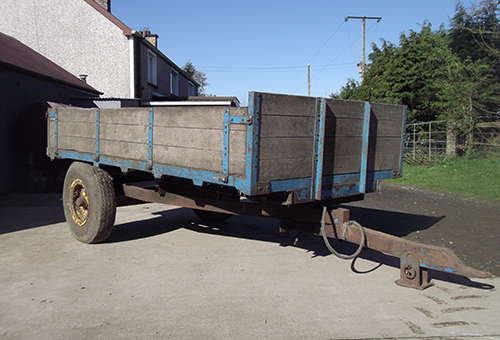 We now offer a wide portfolio of products that can be tailored to our customers’ specific needs including; low loaders, dump trailers, dump loaders, drop-side trailers, gravel trailers, bale trailers, livestock trailers and slurry tankers. 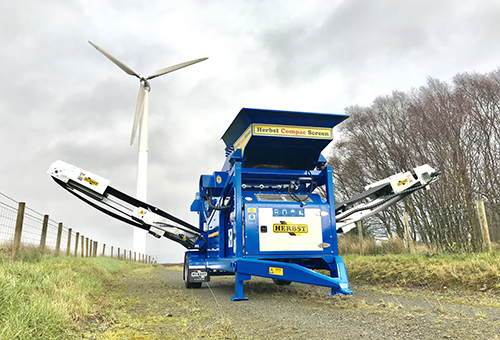 In more recent years we have diversified the business into the recycling sector with the introduction of our Screener and Crushing machines for the quarrying, mining and recycling industries. We were the first company to design and manufacture a Screen towable by tractor, and one that can be containerized in minutes. We remain 100% committed to producing high quality products at affordable prices, and are dedicated to continued innovation, design and growth in all areas of our business. 2017 saw the erection of our wind turbine. 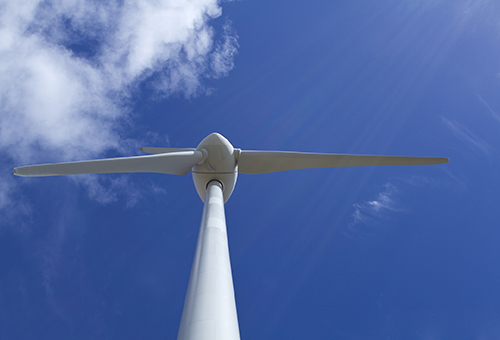 The turbine was introduced in a bid to reduce energy consumption and significantly increase efficiency through on-site energy generation. We have always been forward thinking and are proud that we can now partially run our plant using renewable energy. Scroll through our timeline and see how things have progressed over the years! 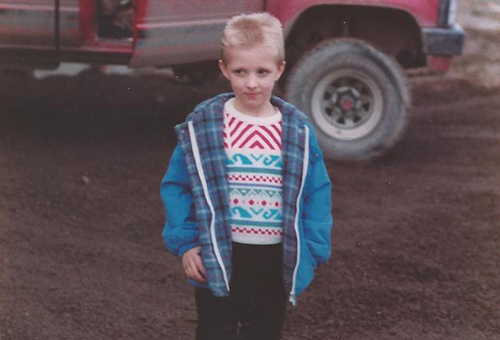 At 19 years old, Noel made his first trailer for his Dad. 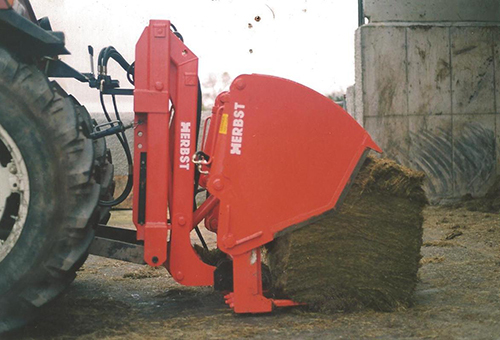 Herbst Machinery Ltd started business from a car garage. The first product made was a hydraulic power box. Moved to bigger premises. 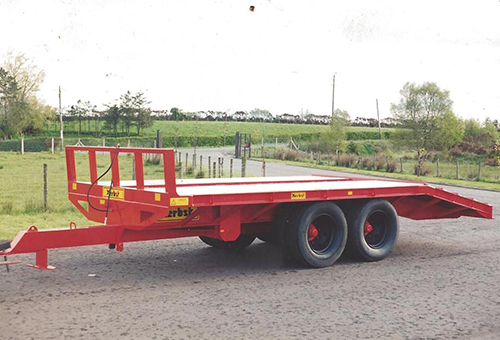 The first low loader was manufactured. 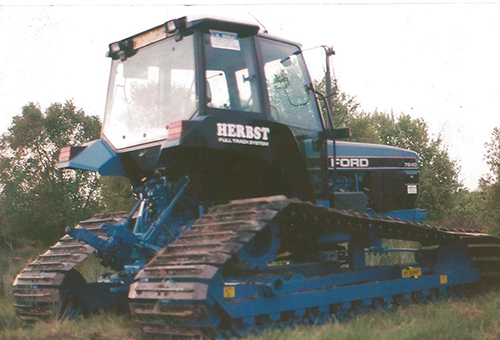 Designed tracks for conventional tractors for working on peat bogs in Ireland. Designed the shear grab. 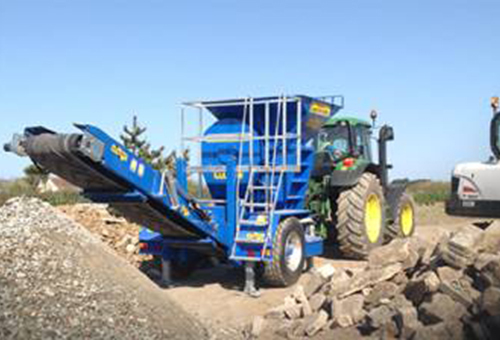 Manufactured to cut blocks of silage to feed cattle. Awarded Silver Medal for Innovation at the RUAS, Belfast for low ground pressure tracks for peat lands. 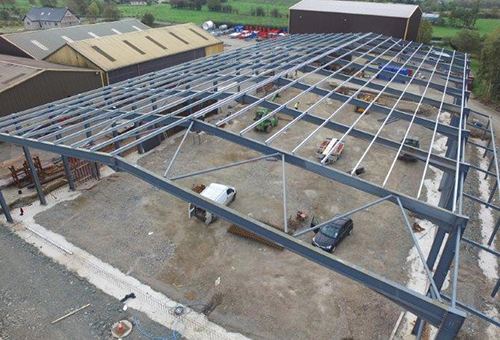 Moved to a new premises near Omagh on a 2.8 acre site. 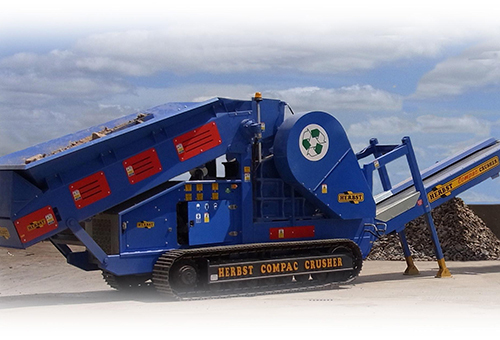 Started manufacturing the Herbst brand of turbo peat cutters for fuel peat. 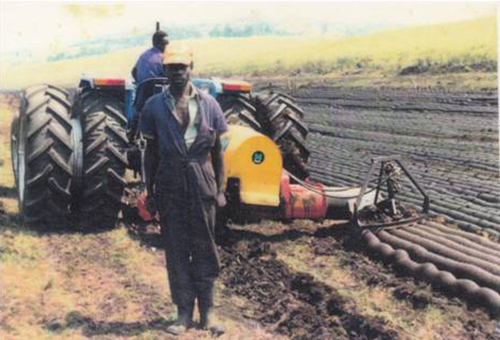 Shown are Herbst machines working in Burndi, Africa. Started manufacturing the Herbst new brand turf hopper for fuel peat. Ian joined the family business, working on the factory floor. Designed and manufactured first screen towable by tractor. Factory extended again by another 6500ft². 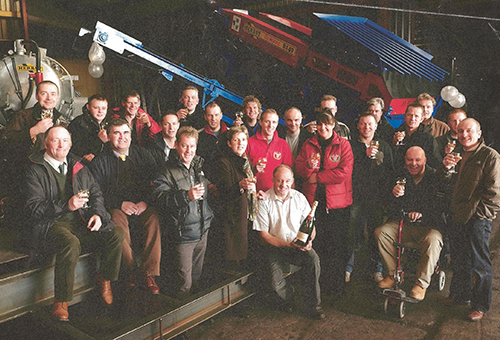 In this same year Herbst Machinery Ltd celebrated its 25 year anniversary. 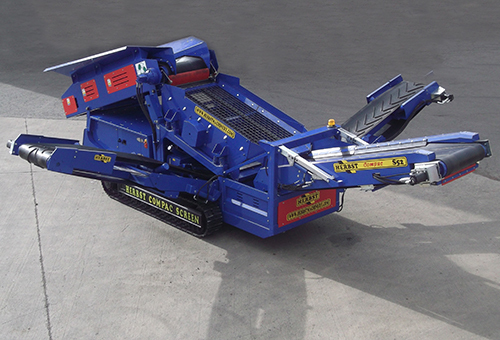 Designed and manufactured our first tracked crusher. Designed and manufactured a new generation tracked screen. This machine can be tracked directly into a standard shipping container in just a few minutes. Herbst Celebrated 30 Year anniversary. 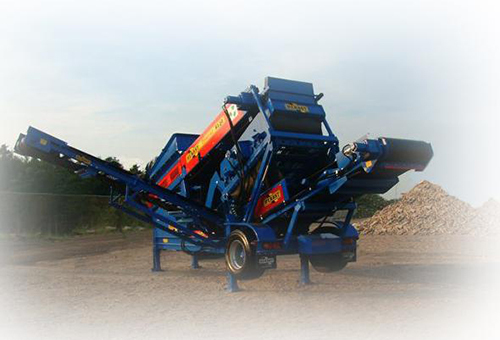 Designed & manufactured first PTO Crusher. This machine has been designed to be tractor driven. 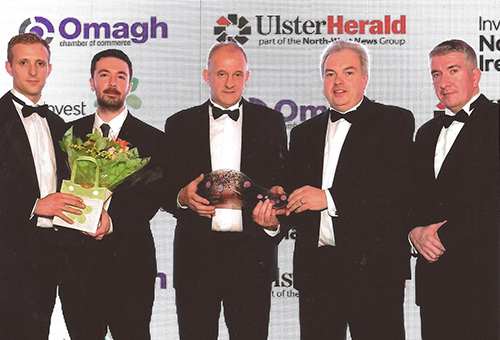 Herbst awarded the ‘Growth Through Export Award’ at the local business Awards. 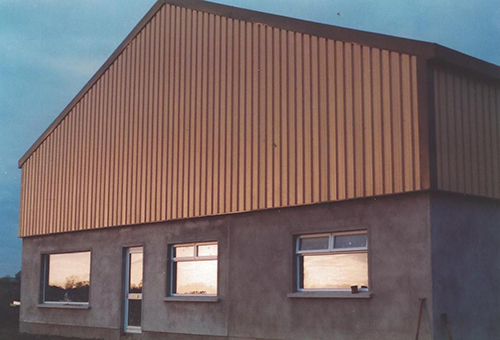 Extended premises and introduced new state of the art spray painting facilities. Wind turbine erected, allowing Herbst to manufacture using green energy. New screener designed & manufactured. 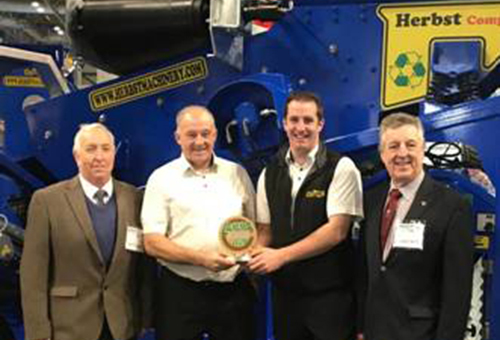 Won the Innovation Award at LAMMA show for new design of Herbst Compac Screener.